When it comes to fast food fried chicken, you’ve got your choices laid out for you. There’s of course KFC, which offers its famous bucket featuring the grinning face of Colonel Sanders. 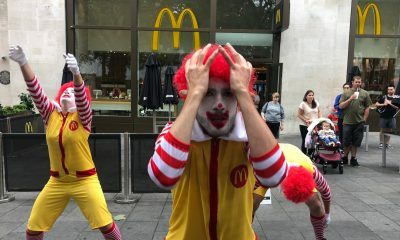 There’s also Church’s Chicken, which is sort of the underdog of the fried chicken world with its own cult of devotees. Then there’s Popeyes, which is on a completely different level. What makes Popeyes Chicken so special? Is it their particular spice blend based on Louisiana cooking? Or is it the fact that you can choose from regular or spicy? Maybe what really keeps people coming back are those biscuits: buttery, flaky, and the perfect addition to your meal. Whatever it is, Popeyes has been a popular destination for fried chicken lovers ever since it was founded in New Orleans in 1972. Since then, the restaurant chain has expanded far and wide across North America, serving up fried chicken and classic sides like macaroni and cheese, cajun fries, and coleslaw. 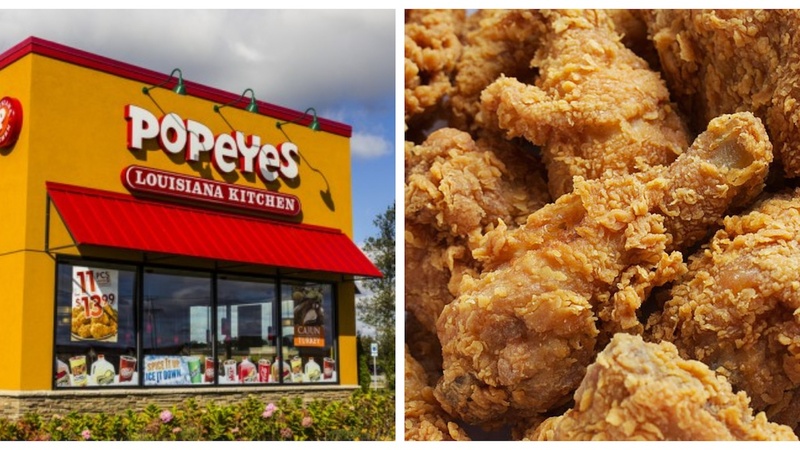 Despite its popularity, Popeyes remains in second place to KFC in terms of sales, but that doesn’t mean that it lacks in quality, or even that it doesn’t have an interesting story behind it. 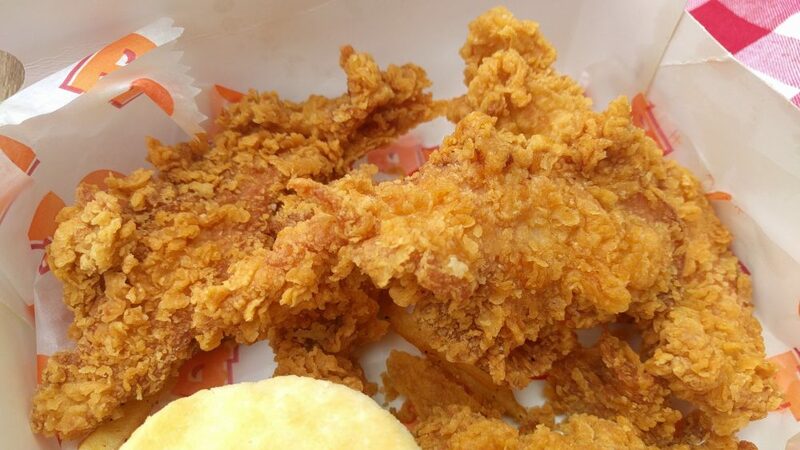 In fact, there are plenty of things you might not know about Popeyes chicken. 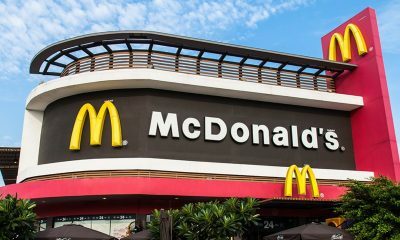 These are just 10 of the least known facts about the restaurant chain. Warning: this article may give you a dangerous fried chicken and biscuit craving. New Orleans native Anne Rice, best known for her vampire novels including Interview with the Vampire and The Vampire Lestat, had a big problem with one of Al Copeland’s restaurants. He had opened Straya, an eatery serving creole-California cuisine, in a renovated car dealership which Rice referenced in one of her books. Rice was already not a fan of the continuing gentrification of certain New Orleans neighbourhoods. Copeland building an ostentatious eyesore on the site of a location that played a pivotal role in her stories was just the straw that broke the camel’s back. She took out a full page advertisement in the The New Orleans Times-Picayune. 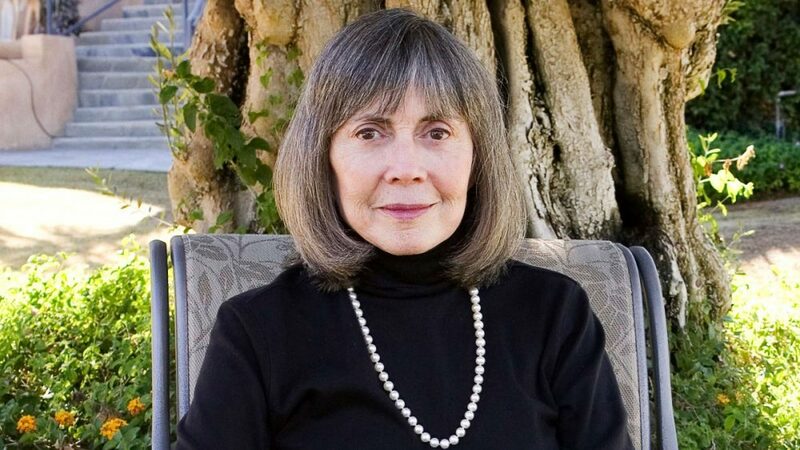 In it, Rice called the restaurant a “monstrosity,” and described it as “absolutely hideous,” “ludicrous,” and “egregious.” She said that it “in no way represents the ambience, the romance or the charm that we seek to offer.” Copeland took the criticism in stride, even taking out his own two page ad in response to Anne Rice. He wrote that he “planned to add a little extra garlic in the food at Straya, keep a crucifix under his pillow and carry a wooden stake for good luck.” He also sued Rice for libel. Aubrey Plaza has appeared in popular projects such as Legion, Parks and Recreation, and Ingrid Goes West. Ellen Degeneres currently hosts one of the most popular daytime talk shows in the world. However, they both got their start appearing in commercials for Popeyes. Degeneres, herself a Louisiana native, was featured in a Popeyes ad from the 1980’s. In her blink-and-you’ll-miss-it appearance, she said only two words: “fabulous chicken.” If she did a Popeyes commercial now, she’d probably have more lines. Plaza is known for her dark, deadpan and sometimes crazed roles, where she uses her own offbeat personality to truly bring out the strangeness of her characters, However, she first appeared in a 2006 ad for Popeyes as a ditzy best friend. It was not indicative of the work she would go on to do in her career. 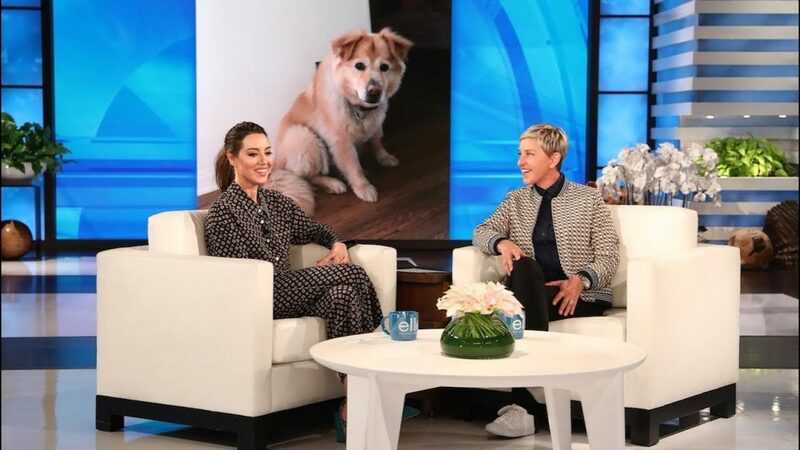 Like Ellen, she also only had one line. When her friend talked about how much she loved Popeyes butterflied shrimp, Plaza announced “I like butterflies.” Obviously both of these women have gone on to greater things, but they probably still remember their time touting Popeyes chicken (and seafood). Whether or not they still eat at Popeyes is a whole other question. We definitely wouldn’t blame you for assuming that Popeyes chicken got its name from a particular sailor man who chomped spinach, smoked a pipe, and beat up bad guys. However, that particular Popeye was not the namesake of the restaurant. 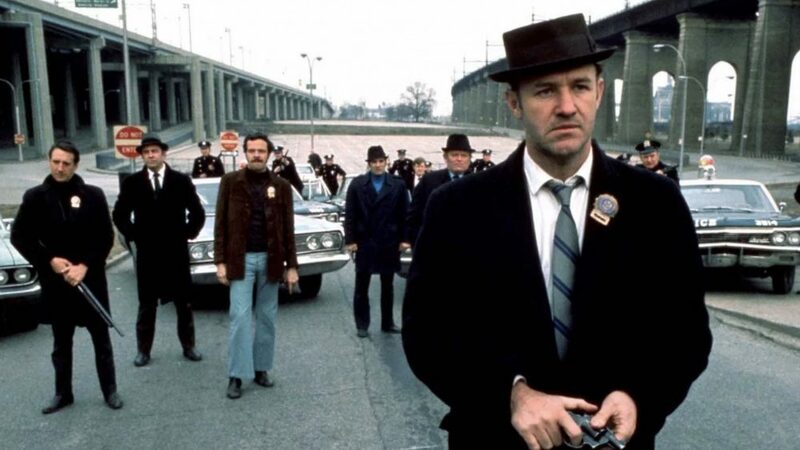 That honour belongs to Detective Jimmy “Popeye” Doyle, the hardboiled detective played by Gene Hackman in the 1971 crime thriller The French Connection. Al Copeland said he named the restaurant after Hackman’s character simply because he liked him. This was not surprising, as the film was incredibly popular at the time it came out. It still stands as one of the great film classics, and includes one of the most exciting car chase sequences ever put to film. Considering that Popeye Doyle wasn’t exactly the most upstanding person (he had a tendency to be a racist, as well as a womanizer), it’s probably a good thing that Copeland was only inspired by his name. Popeye Doyle was based on real life NYPD detective Eddie Egan. Hackman won an Oscar for the role, and the film itself won Best Picture. It spawned a sequel and a television show, but the fried chicken at Popeyes is leagues better than either of those two things, and far more memorable. Just because Popeyes wasn’t named after the cartoon sailor doesn’t mean that they didn’t utilize him in their advertising. They would have been silly not to, considering the instant name recognition and attribution. The company began using Popeye and his pals in their advertisements early on to compete with other chains that featured their own mascots, such as Ronald McDonald and Colonel Sanders. However, as the restaurant moved more toward pushing their image as real, Louisiana cuisine, the association with Popeye the sailor became less important. More than that, using the cartoon sailor to promote chicken from New Orleans almost seemed nonsensical. Not only that, but have you ever seen Popeye eat fried chicken? Of course not! 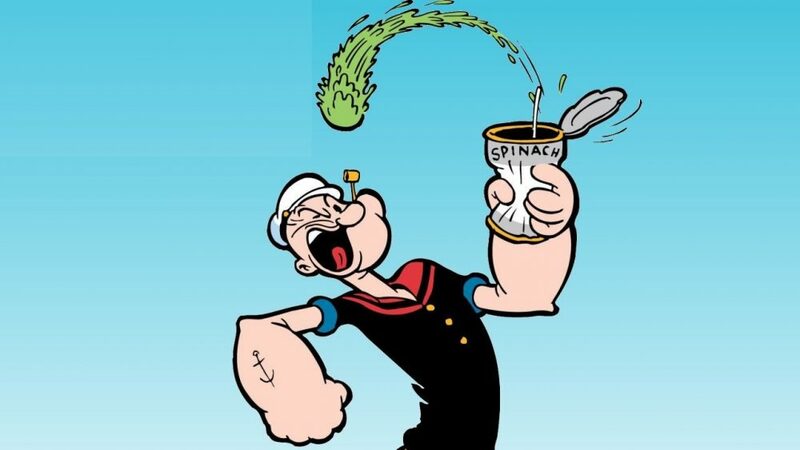 He eats spinach. That has always been his thing. They might have gotten away with it by playing up the seafood angle, but Popeyes has always been known more for its chicken than anything else. The company ended its million dollar deal with King Features Syndicate, the owner of Popeye, in 2013. However, it hadn’t been using the characters for much longer. They were still employed in some advertising campaigns in Puerto Rico and the middle east for a time, though. 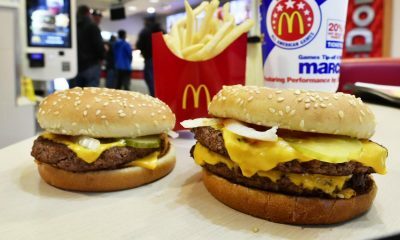 What better way to remind soldiers of home than offering them some good old fashioned American fast food? Imagine if you were out in the field, putting your life at risk every day to defend your country. You might want a little taste of home after all of that, even just to remind you what you’re fighting for. While many army bases featured Burger King locations, some bases in Germany and Japan also sold Popeyes chicken. 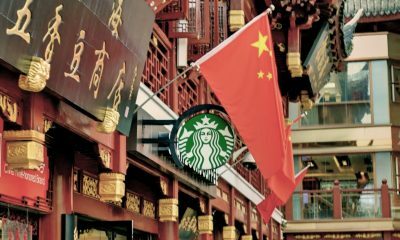 Even though the company continues to expand locations across the globe, it was the franchises on military bases that started the trend. Before that, Popeyes chicken was only available on these bases. The surrounding population did not have any access to it. Talk about unfair! 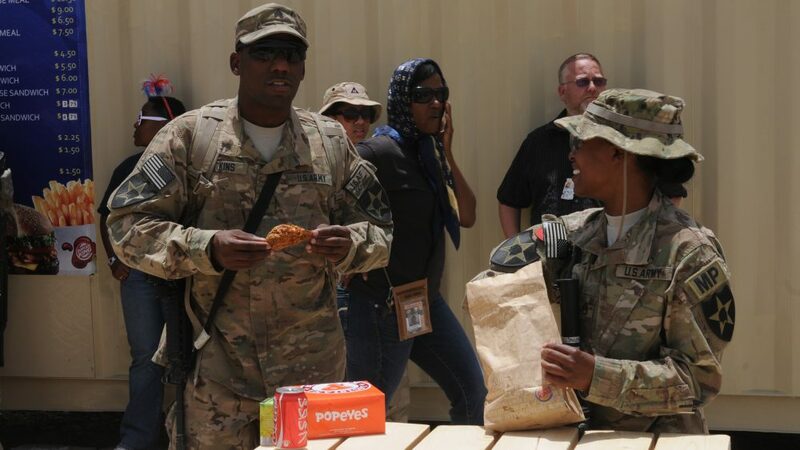 A Popeyes opened on the Kandahar Airfield in 2012 and became a huge hit with the soldiers that were stationed there. More recently, Popeyes replaced Burger King in the Fort Knox base food court, showing that tastes have been changing over time in the military. Whereas in the past soldiers might have wanted a Whopper, now they have cravings for spicy chicken and biscuits. Who could blame them? When it comes to fast food options, spicy fried chicken and a buttery biscuit will beat a burger any day of the week. If you’ve seen a Popeyes commercial, even recently, you might recognize the classic “love that chicken from Popeyes” jingle (sorry if that little reminder just got the song stuck in your head, but there are probably worse songs you could be thinking about right now). That bit of music has been used by the company since its early days, and eventually became a huge part of their identity. You almost couldn’t even think about getting Popeyes chicken without that jingle ringing in your head. However, you might not realize that one of the original singers of the jingle was famed Louisiana rocker Dr. John. 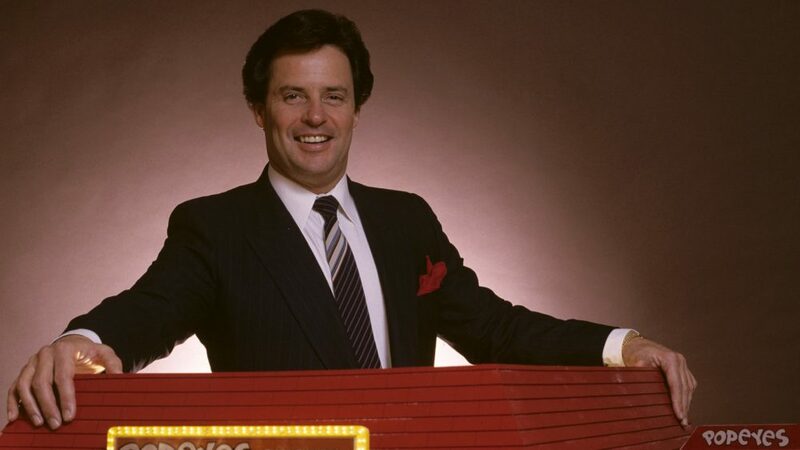 The Rock and Roll Hall of Fame inductee was already plenty famous before he sang the jingle in the 1980s. 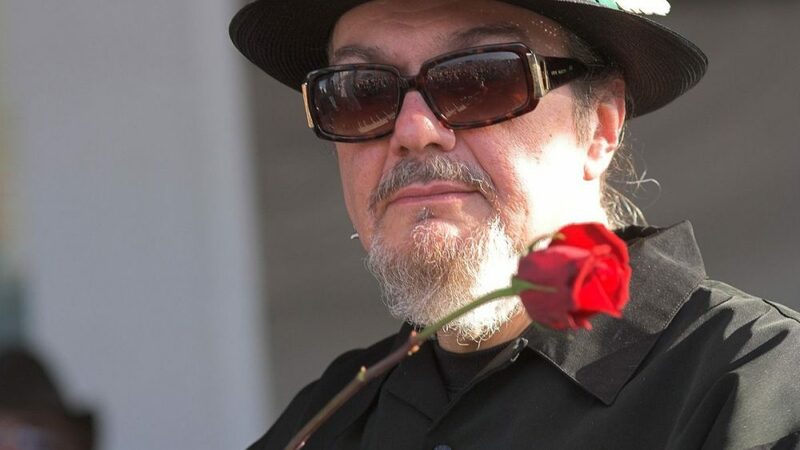 He has won six Grammy awards and had a top ten hit with his song “Right Place, Wrong Time.” Dr. John was a huge star in his home state of Louisiana, and It was his signature drawl and unique vocal style that became associated with the restaurant’s commercials. Other artists who have recorded the jingle include Fats Domino and the Zydeco Twisters. Fats Domino appeared in a 1987 ad for Popeyes singing the jingle, and all of these artists also performed at the 30th anniversary celebration for Popeyes in 2002. 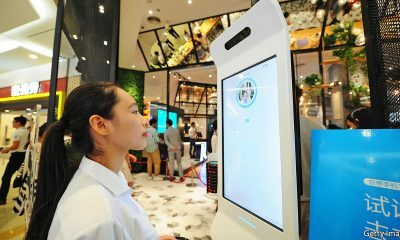 Fast food restaurants are always looking for ways to innovate. It’s not enough to just sell burgers, fried chicken, or pizza. 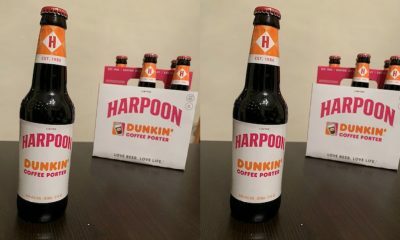 You have to make those products different. They have to stand out to the consumer. Look at what Taco Bell has done with just the humble taco: they’ve created a Doritos taco shell, wrapped a hard taco shell in a soft one, and even made a taco shell out of fried chicken. 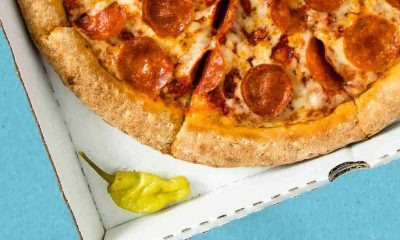 Pizza Hut has done similar magic with their food, creating pizzas with all kinds of cray things going on in the crust. In 2017 however, Popeyes made some noise in the fast food world when it introduced chicken tenders that were battered with cookie dough. Now, before you start imagining a chicken tender crossed with a chocolate chip cookie, you should know that the cookie dough used in this recipe was shortbread. The people at the Popeyes test kitchen couldn’t possibly be that crazy. People who tried the cookie dough breaded tenders reported that there was a a hint of sweetness to accompany the typical Popeyes chicken flavour. However, anyone curious enough to try these cookie dough tenders now is out of luck. The company only introduced them as a promotional item for a few months. Sorry to get your hopes up, but maybe one day these unique chicken tenders will find their way back onto the market. So it’s thanksgiving and you really want to wow the crowd with something different. Sure, you could try and pull off the turducken, but that’s just going to be a lot of work. Let’s face it, you’re looking for something easier. Something that’s going to wow your relatives and your in-laws. That’s what the holidays are all about, right? No one wants their Aunt Linda criticizing their cooking year in and year out. So sometimes, you’ve got to do something drastic, something undeniably different and maybe even a little bit crazy. Well how about this: instead of just another frozen Butterball, you bring home a cajun spice rubbed turkey made by Popeyes. It’s true! 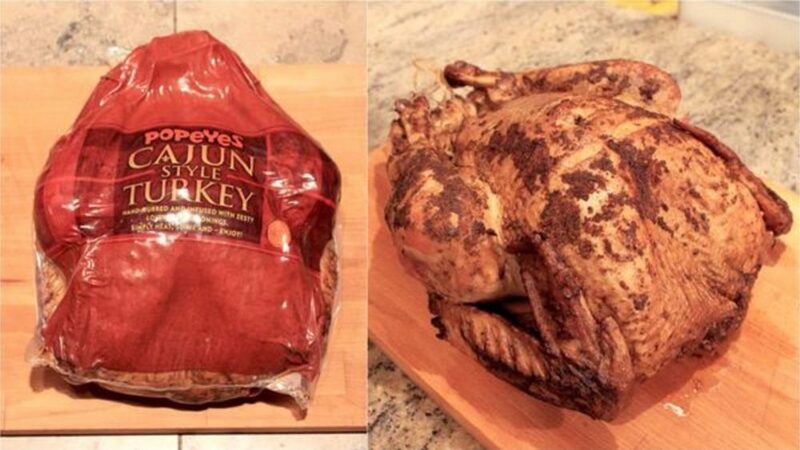 Popeyes only sells these spicy, seasoned birds during Thanksgiving and Christmas in select grocery stores. If you can get your hands on one, consider yourself lucky. The turkeys may not be breaded with that delicious Popeyes coating, but they are seasoned with Popeyes signature blend of Louisiana spices to give an otherwise bland bird a little bit of zing. The spicy birds come pre-cooked and frozen. All you have to do is thaw and cook for 90 minutes (although there are also instructions for cooking from frozen). You could do a lot worse than serving this unique turkey at your next family holiday get together. Even the people who prefer ham to turkey might want to sneak a little taste. In fact, you might want to get two, just in case the birds end up more popular than anything else. 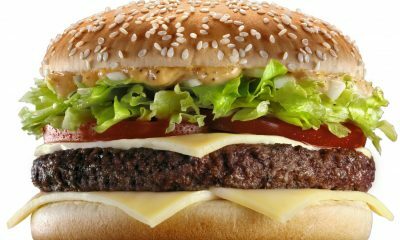 There are plenty of celebrities out there with their own fast food preferences. Although, you wouldn’t expect musical royalty to express an undying love for fast food fried chicken. 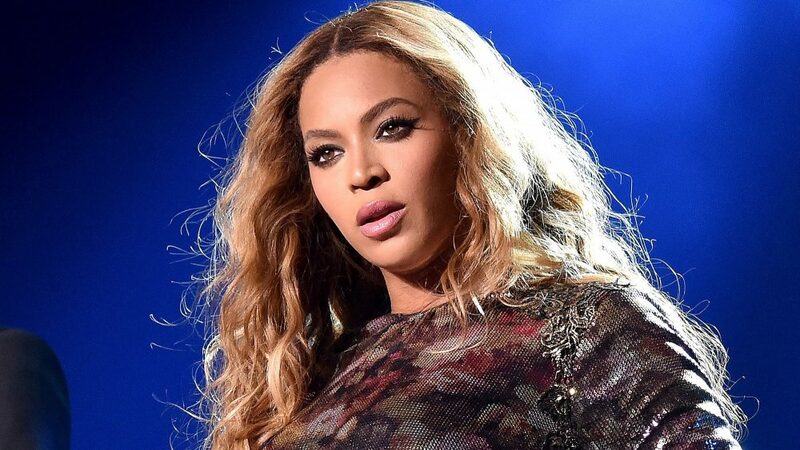 However, Queen Bey herself has expressed her passion for Popeyes publicly. So much so, that the restaurant chain granted her a card which allows her to get free Popeyes chicken for the rest of her life. That’s something that all of the fried chicken lovers out there could only dream of. Imagine it:” every time you’re craving three pieces and a biscuit, you just waltz on in to Popeyes, place your order, and walk out with a box of tasty chicken and a pocket full of cash. Rumours even swirled that Beyoncé and Jay-Z served Popeyes at their wedding. 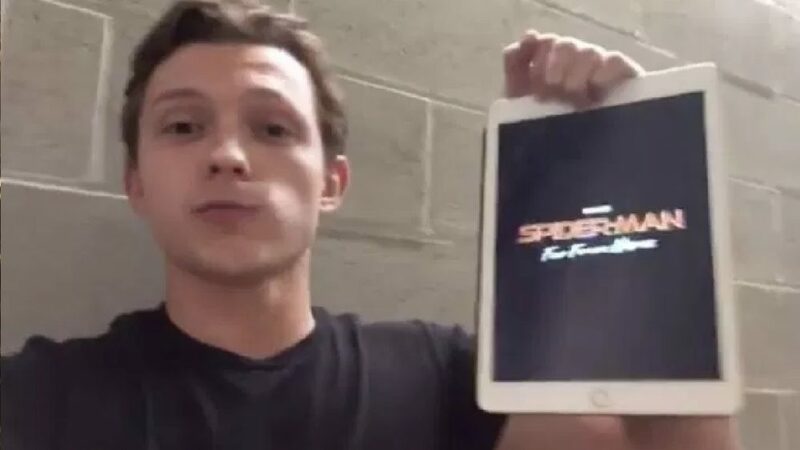 That just gives us all another reason to be completely devastated by not getting an invite. Beyoncé told Oprah about the card in 2003. She also said that she didn’t use the card that much because she was embarrassed. The fact that Bey could be embarrassed by anything is pretty hard to imagine. If she wants Popeyes, she should be able to have Popeyes! The whole situation really just goes to show that if you want to get free Popeyes chicken for life, all you have to do is become one of the most famous and compelling singers in the world. Easy, right?